Fleet Management | Wilmar Inc. Whether you need help acquiring, maintaining, managing, or disposing of vehicles, Our programs and services are designed to help you stay focused on reducing total cost of ownership. Wilmar has the expertise to ensure your fleet vehicles do the job right so that driver productivity stays high and vehicle costs stay low. When your needs suddenly change, our vehicle experts are there to help you adapt your fleet each step of the way. Once we analyze your needs and help identify the vehicles that suit you best, we can help you manage the time-consuming, day-to-day challenges that come with fleet management. Our program ensures that all your vehicles will remain up to date in terms of registrations and renewals so you don’t incur any fines, late fees, or duplication's. We offer a fuel card that’s accepted at over 180,000 locations nationwide. Card limits restrict driver spending and data records make it easy to generate monthly fuel management and exception reports. Our program turns what can potentially be a black hole for expenses into an easy and transparent line item to monitor. Selecting new vehicles for your fleet can be exciting. Disposing of them (and removing company identifying logos and graphics) when they’ve run their course is most certainly not. We can manage this time-consuming process for you by disposing of leased vehicles and making sure you get maximum resale value on the vehicles you own, with a minimum of time and energy spent on paperwork. 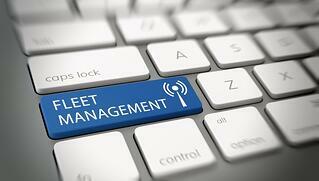 To learn more, check out: Outsourcing Fleet Management: Should You Do It?